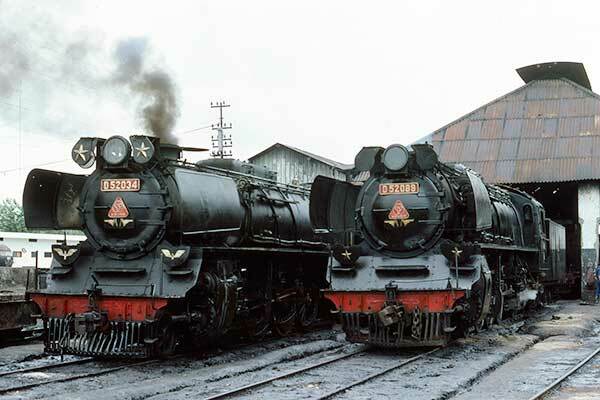 Caption - Indonesian Railways Krupp built D52 class 2-8-2's nos. D52034 & D52089 outside Madiun loco shed. Both locos looked well looked after with brasswork freshly polished.